Browse the directory, find or organize a Meetup in your area, search for or invite your classmates and fellow Fellows to our online communities on Facebook and LinkedIn, or step up and become a Cohort Coordinator. 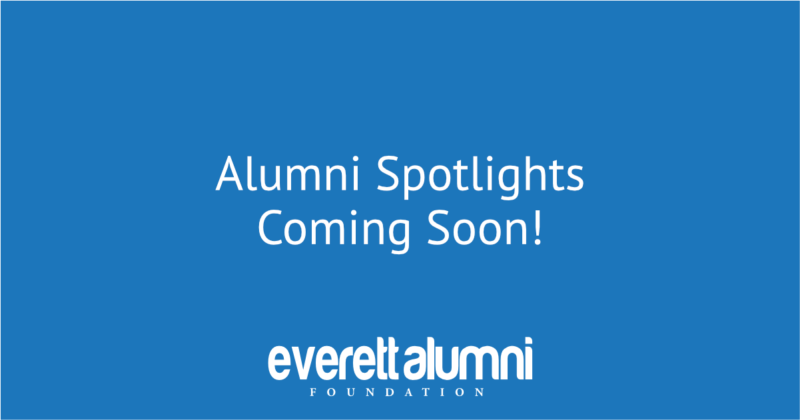 Post and find jobs on our referral network specifically for Everett/GIIP alumni. Offer your wisdom or get advice for your career in our Advice Network. Share your latest project and get noticed with a Spotlight! 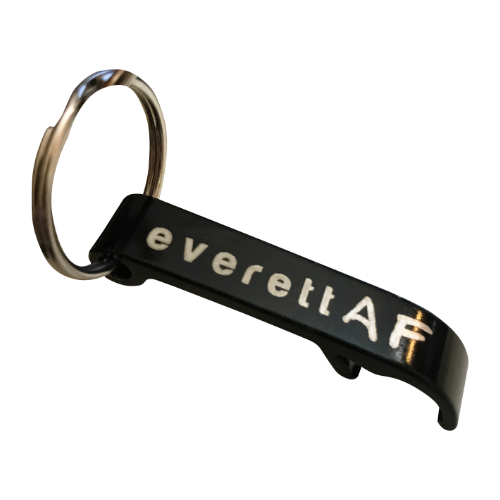 Become a Member of the Everett Alumni Foundation to gain access to special perks and shwag. 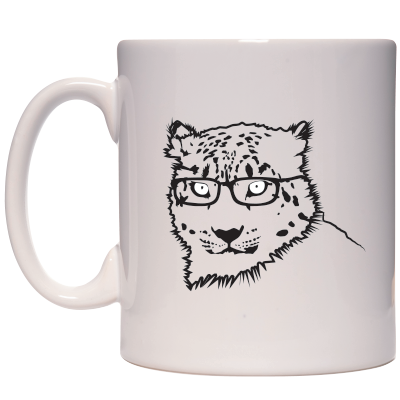 Raise funds passively by designating us on Amazon Smile. Does your company offer matching charitable contributions? Consider donating to us! Remember the friends you sweated through the 30 Series with? What about your partner teaching a lab, or your old Fellows’ Coordinator? Reconnect with the amazing people who played such a big part in your undergraduate years. Connect to our social media platforms, subscribe to the newsletter, and attend (or host!) a meetup, and it will bring that spark back into your life! Meet up with alumni near you! Connect IRL and strengthen your network! Thake the 5 Minute Pledge! Invite your friends on Facebook and LinkedIn. Become a cohort Coordinator and make this network even better! 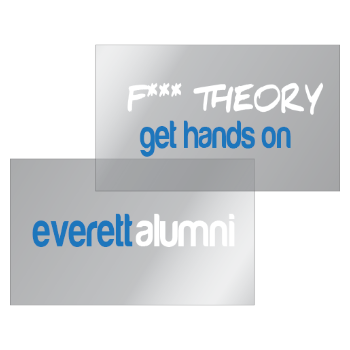 The Everett Alumni Foundation is here for you. Our collective knowledge of twenty years of innovative projects, circuitous career trajectories, and a universal need to help others is a resource more valuable than money. EAF is here to facilitate connections between alumni, current students, and friends of the program. Post or find a job in the alumni network where only awesome, tech-savvy, socially conscious rockstars roam! Join our advice network to both gain and give advice. Utilize our guided Informational Interviews. Are you embarking on a major career transition? Are you looking for help on a startup idea? Just wanna brag? Request a Spotlight and let us be your hypeman! Help us sponsor more meetups, facilitate more connections, and support more promising students. Your continuing support allows us to maintain and expand on the work of the Alumni Foundation. 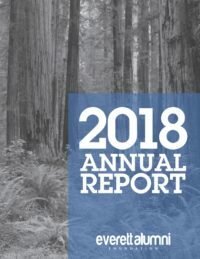 Membership benefits are free for the first two years after graduation from UCSC. Make a one time (or recurring) donation to the Everett Alumni Foundation. Help us keep doing great stuff. Shop using Amazon Smile and a portion of your purchase will go to the org of your choice. Make us your org! Does your company offer a charitable giving matching program like Benevity? If so, consider donating to EAF. The best place to get updates and engage in active discussion is currently our Facebook Group. We have a growing LinkedIn community as well. Please hop on over to one of those and join the conversation! GIIP to Everett: Why the Change? The Board of the Everett Alumni Foundation (BEAF) consists of five individuals with a passion for extending the unique and important things we did in GIIP and the Everett Program into our post-college lives. Members of the board volunteer their time to building the alumni network and do not draw a salary for service. Mai Sutton is a community organizer and freelance writer based in Oakland, California. Her area of focus is on the intersection of human rights, technology, and solidarity economics. She was formerly at Shareable as their Community Engagement Manager, and previous to that was with the Electronic Frontier Foundation (EFF) as their Global Policy Analyst. At UCSC, she was a Fellow and Coordinator for the Everett Program. In 2008, Maira lived and worked in Kuala Lumpur, Malaysia as a legal researcher and tech intern with Sisters in Islam, a Muslim women’s rights organization. Aaron Longa is currently a Mapped Receiver Supervisor at Bi-Rite Market in San Francisco, where he builds relationships with vendors, processes invoices, and eats amazing food everyday. Aaron earned his BA in Business Management Economics at UC Santa Cruz in 2015. As a fellow in the Everett Program, Aaron mentored fellows, built and taught the base tech lab curriculum. 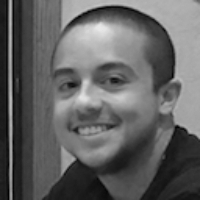 Aaron’s passion lies in nerding out over applied mathematics, economics, game of thrones, and the outdoors. He is ecstatic to be on the EAF board allowing him to work with amazing colleagues and contribute his finance and accounting knowledge. 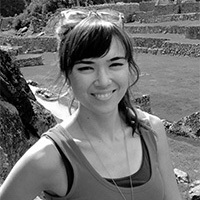 Sienna Thorgusen is currently a PhD student in the department of sociology at SUNY Stony Brook. With over ten years of experience as a teacher, tutor, and mentor, she has deep roots in education and non-profit work. 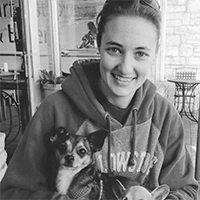 As a Branch Director of the Boys and Girls Club of Greater Conejo Valley, Sienna enjoyed working with youth to stimulate intellectual curiosity and enhance cultural experiences. She feels honored to be a part of this new and exciting dimension of the Everett Program and to continue to support the ingenuity of young people who are doing their part to minimize social injustice, worldwide. 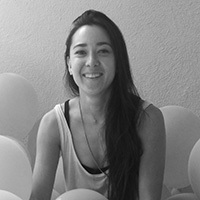 Hanami is a Creative Director who specializes in brand identity, layout and user interface design for a wide range of industries. She began her career as a graphic designer at the Global Information Internship Program where she helped design newsletters, pamphlets and business cards. Her background includes design firms in New York and Los Angeles with high-end alcohol and technology brands. She currently has clients in technology, consulting, non-profit, fashion, beauty and the entertainment industries. She graduated with a BA in Sociology from the University of California at Santa Cruz. 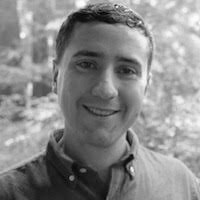 Thomas Gelder is the former Lead Technologist at the Everett Program. He supported the Fellows who teach tech labs and works to broaden the program’s technological scope as well as consulting with current students. In pursuit of his passion for education and teaching, from 2012 to 2015 he directed the Youth Empowerment Institute, a summer camp that empowers youth of South Santa Cruz County. Thomas is a massive process geek, obsessing over productivity, efficiency, and automation as a hobby rather than a work skill. He is elated to be involved in the EAF as it gives him an opportunity to give back to the program that defined his college experience and gave him a direction in life. Huckleberry leverages his status as a non-human animal to devote his 40 hours per week to developing the network for Everett and GIIP Alumni. 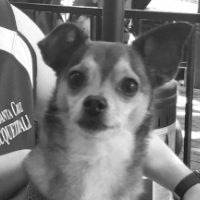 Huckleberry spends most of his time in a mailbox and is deathly affraid of cats, loud noises and other potential threats in addition to a number of abstract, intangible concepts. Huck spreads the message and esprit de corps of GIIP and Everett through kisses and adorable stares.